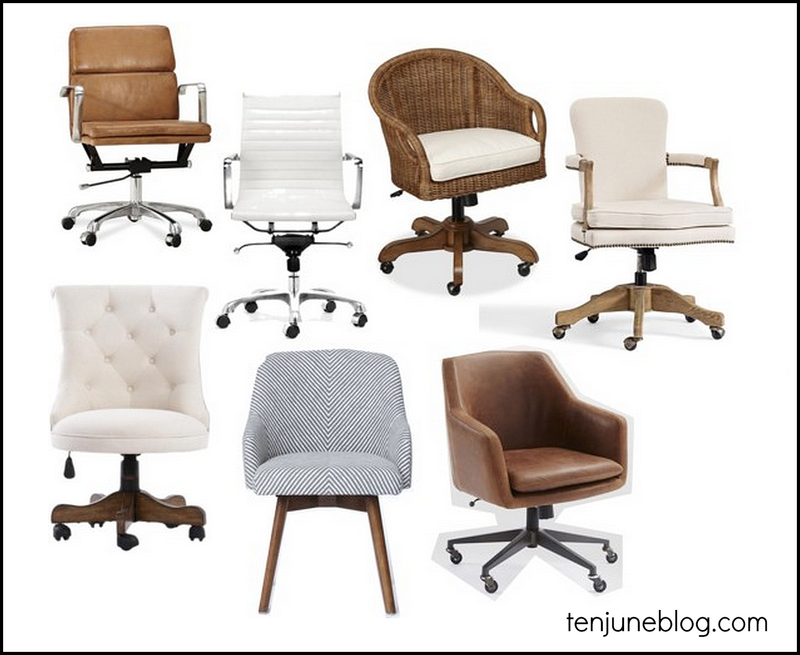 Ten June: Office Chair Round Up: Comfortable But Cute? Check out PB teen, they have cute options as well! If you can, go sit in the West Elm saddle chair before you get too set on it. I was smitten with the chair....until I sat in it. Not comfortable in my opinion. Decide if you are an armchair person or not. This will make or break your comfort. You can add casters to many chairs if you find one you love that doesn't roll. The white leather is super uncomfortable. It's like sitting on a piece of wood...don't get that one!